The Arctic plays a fundamental role in the climate system and has shown significant climate change in recent decades, including the Arctic warming and decline of Arctic sea-ice extent and thickness. In contrast to the Arctic warming and reduction of Arctic sea ice, Europe, East Asia and North America have experienced anomalously cold conditions, with record snowfall during recent years. In this paper, we review current understanding of the sea-ice impacts on the Eurasian climate. 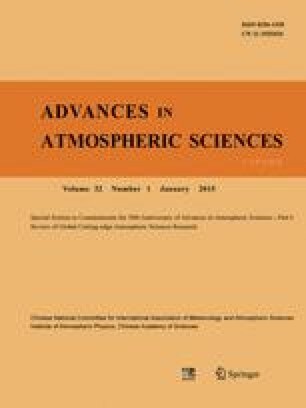 Paleo, observational and modelling studies are covered to summarize several major themes, including: the variability of Arctic sea ice and its controls; the likely causes and apparent impacts of the Arctic sea-ice decline during the satellite era, as well as past and projected future impacts and trends; the links and feedback mechanisms between the Arctic sea ice and the Arctic Oscillation/North Atlantic Oscillation, the recent Eurasian cooling, winter atmospheric circulation, summer precipitation in East Asia, spring snowfall over Eurasia, East Asian winter monsoon, and midlatitude extreme weather; and the remote climate response (e.g., atmospheric circulation, air temperature) to changes in Arctic sea ice. We conclude with a brief summary and suggestions for future research.